It’s safe to say we were both excited about this one. Every now and again it’s nice to treat yourself to a bit of luxury; and that’s exactly what we did. 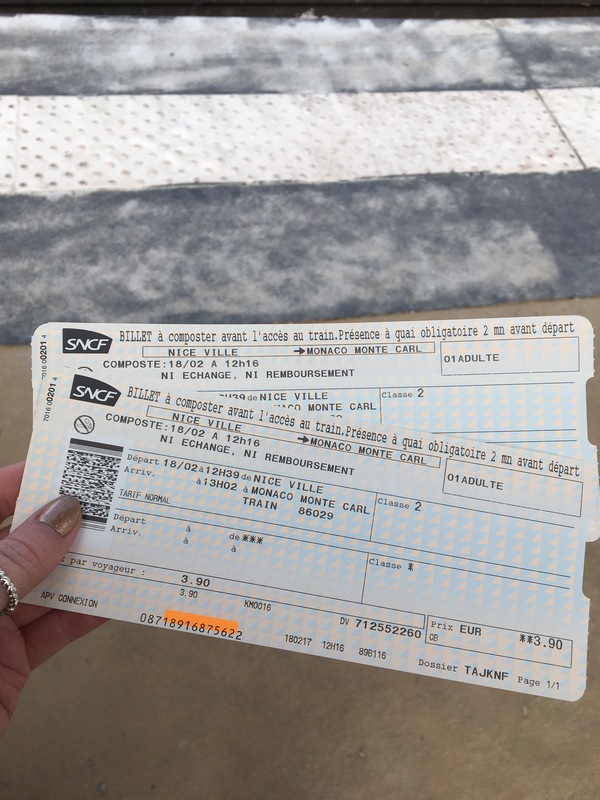 We packed up our bags and headed towards Nice train station. Which, pre warning isn’t the easiest to use- took us ages to follow the signs and get to the right place to purchase the tickets we needed. But we managed it and we boarded the short train to Monaco. On the train, we started talking to an Australian lady who works on the boats in Monaco- she was down to earth and more than happy to give us some tips. That’s one of the best parts, meeting new people and sharing stories. We got off the train after her telling us where is best to eat and drink, showed us how to get out of the train station and pointed us in the direction of our hotel. It wasn’t a long walk to get to our hotel, maybe 15 minutes of that from the train station but the minute we walked round the corner we were astounded. After never experiencing 5* before, I’m not really sure what I was expecting. 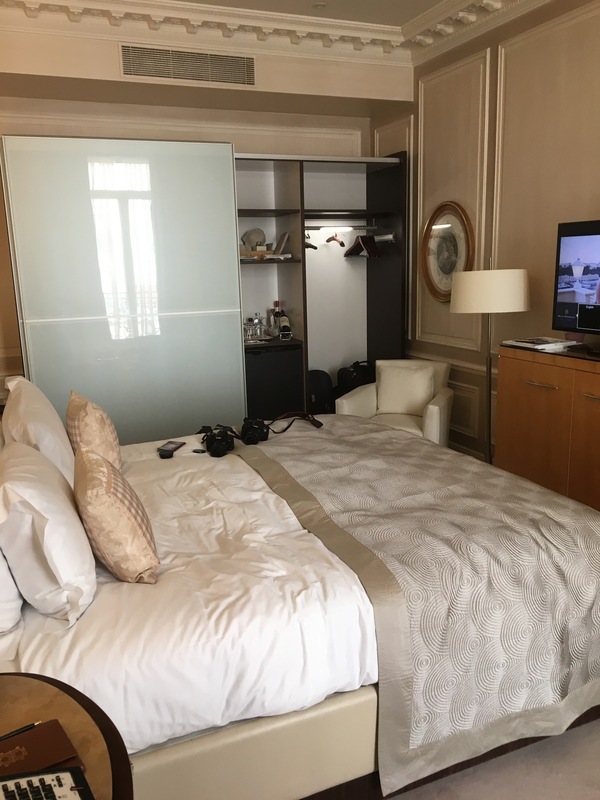 We stayed at the Hotel Hermitage and it definitely exceeded my expectations. For starters, the cars parked outside were great, Ferraris, Rolls Royce, Bentleys and so much more. As we approached the hotel, the door man ran over to take our suitcases and said they would put them in our room for us. The service was impeccable. I walked into the foyer and I was simply speechless. It was beautiful. Everything was my favourite colour, white. 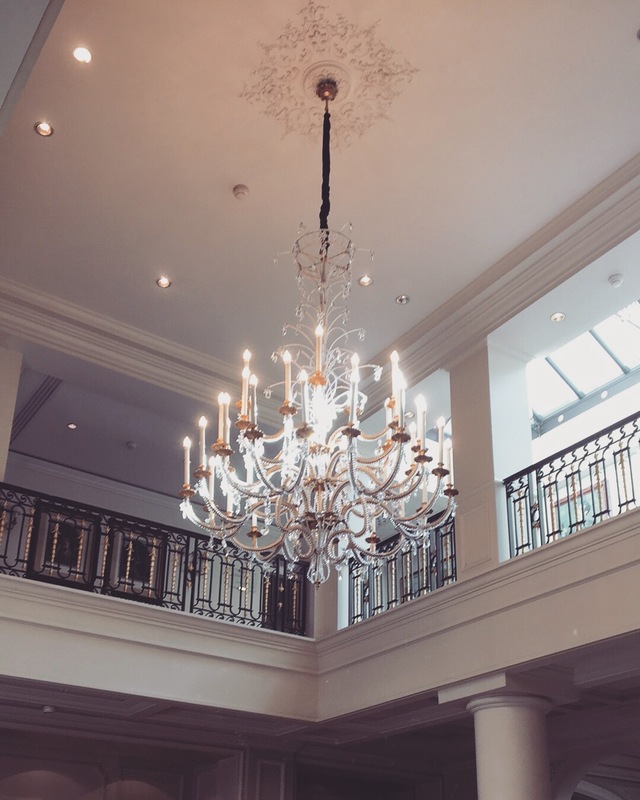 Beautiful crystal chandeliers, tall pillars- it just oozed luxury. I was in my element. We were greeted politely, and had a gentleman show us to our room. Which again, exceeded expectations. 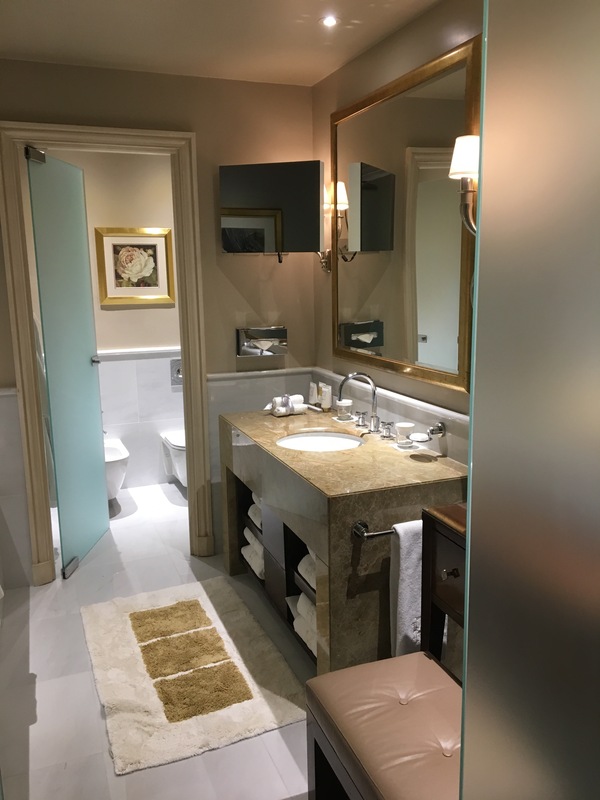 The first thing you came across was the huge en suite, it had a dressing table, waterfall shower, marble bath, sink and a toilet. It was the ideal bathroom. Then we walked into the main bedroom. On the right was a lovely little balcony, there was a desk, set with everything you’d need- the bed, large flat screen tv with English channels and wardrobes equipt with the mini bar and mini fridge and safe. Let’s not forget the little box of chocolates by the bed side table. And just as promised our cases were in our room. 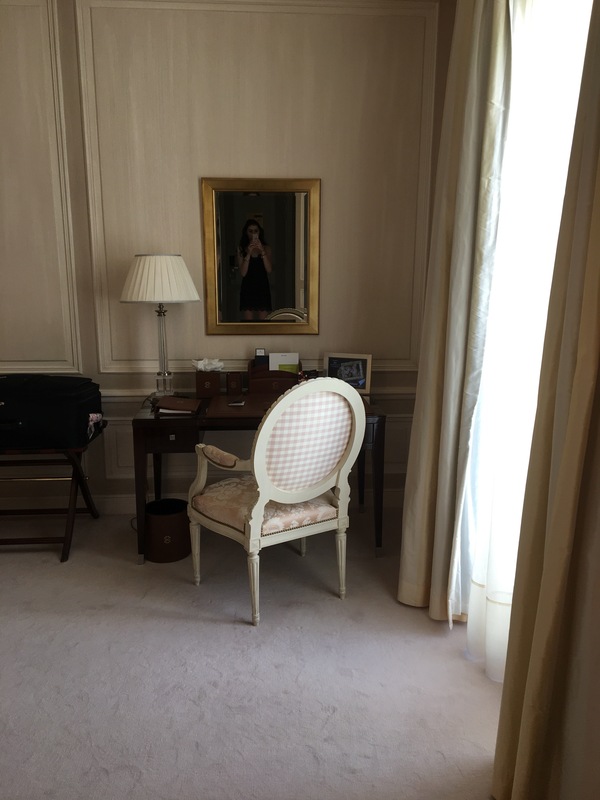 It was the perfect room and the perfect service. The staff there are so hospitable, we asked for an iron to iron some shirts, instead 2 mins later the maid knocked on the door took the shirts and returned them within 20 minutes! Couldn’t recommend this Hotel enough. They have so many amenities to offer too. There was a lounge area just off the main reception for drinks and snacks, there was a grand piano- a large dining hall where they throw charity dinners and balls. 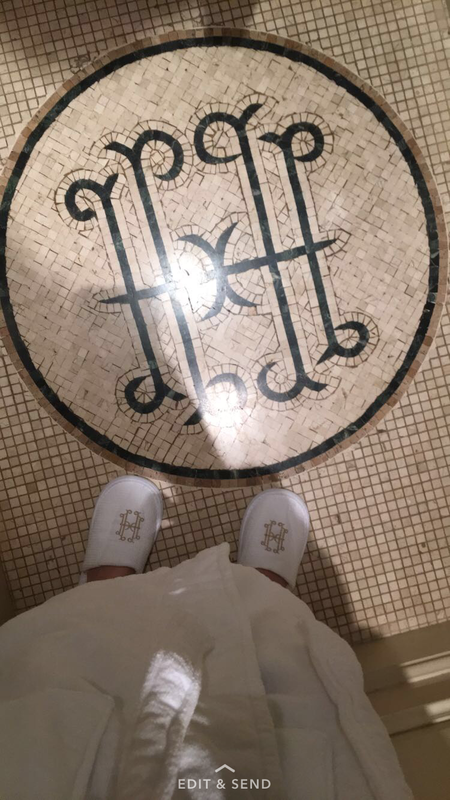 A short walk away you can get the elevator which takes you up to the indoor pool; using the robe and slippers provided by the hotel. The pool itself was lovely, very quiet and serene. Inside there was a small restaurant where you could buy snacks and drinks- but if you headed outside, there was a jacuzzi, sunbeds and an outdoor patio area. 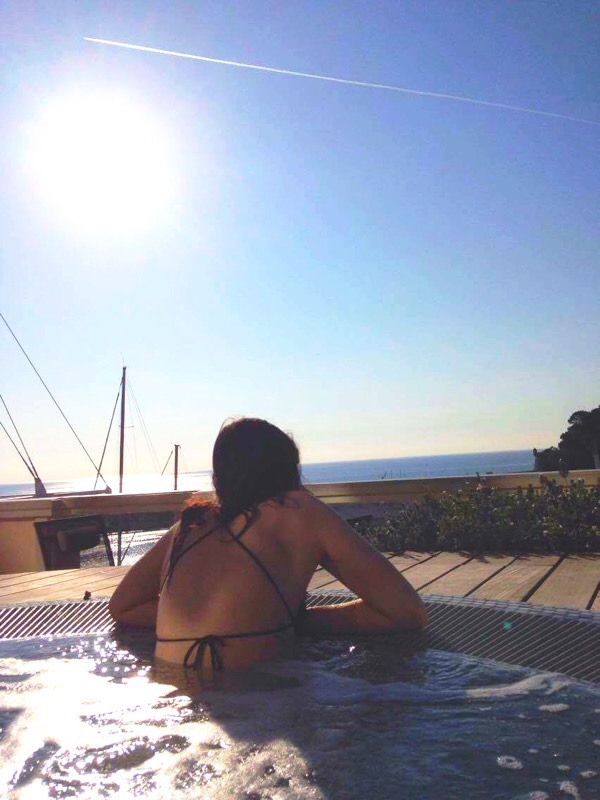 Safe to say we spent most of our down time in the jacuzzi. Another point to make about the great service at this hotel is the concierge. We asked for a nice restaurant with vegetarian options and he pointed us in the direction of Avenue 31 after booking us a table. Again, it did not disappoint.